the lunar new year is coming up soon. a whole other exxxtra new year's resolution. but i know it'll need a lot of attention once i decree what needs to be done. it's going to be the year of the wood pig. but i DO make pictures of things that make my imagination work. 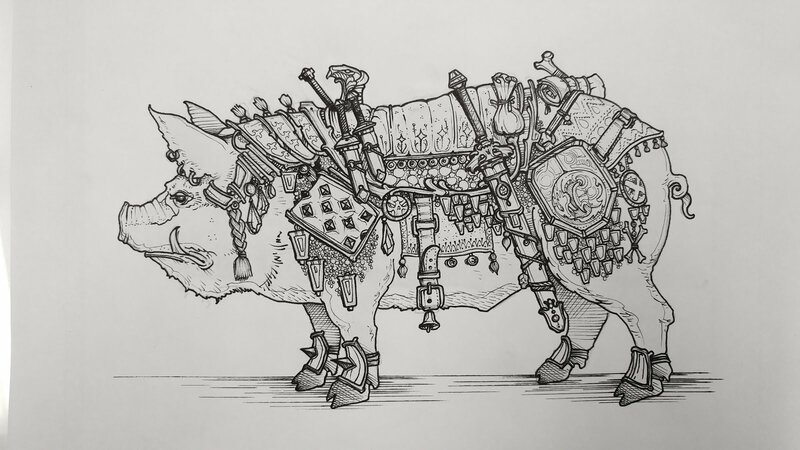 it's not a wood pig, it's a WAR PIG. i'm humming black sabbath and making a lot of little lines. i'd probably click on that picture to get the full scope and spectrum of that detail work. if i get the chance, i'll be making MORE wood pig art from now until tuesday. it's forever in flux, and i can't put my finger on it to pin down any answers. here's hoping that i'll have clear direction as to what i'm doing next come the new moon. i've got a whole bunch of flying lanterns i'd like to launch. maybe that's the first order of business.